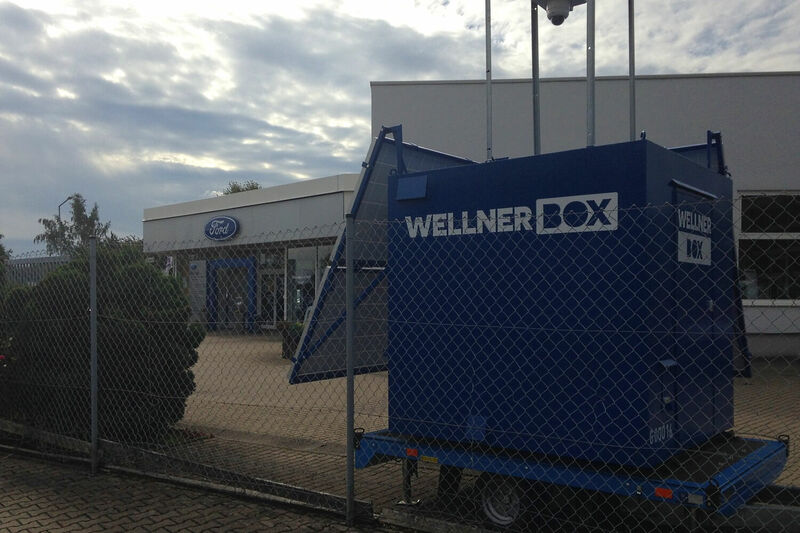 In general, every WellnerBOX system is capable of mobile video surveillance. The combination of a mobile base, supply-independent (continuous) operation, camera equipment and data storage / transmission components, covers all features required for mobile video surveillance. 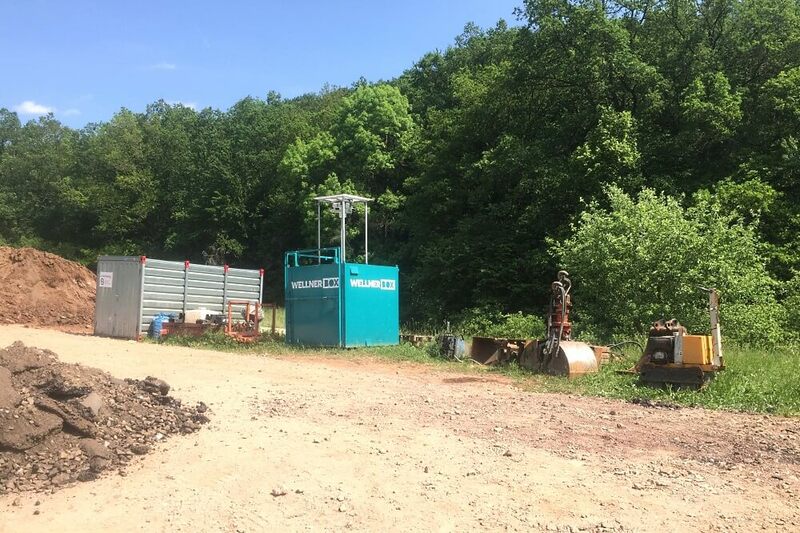 For such applications, however, we have found time and again that the “classic” WellnerBOX has at times too many, and at other too few options in its standard configuration. In our experience, mobile video surveillance usually only takes place for a few hours / days / weeks, and only has to cover this period in terms of supply technology. Solar panels and very large battery packs and fuel cells, which enable the “Classic” model to be completely autonomous during the year, are not required for this area of application. Infrared spotlights, motion detectors and loudspeakers are also not necessary, because people and structures are constantly being moved around event areas, parking spaces and access roads, depending on the volume level. Other features are gaining importance and prompted us to develop a new model based on the proven concept of all the previous WellnerBOXes, but specially designed and optimised to meet the requirements of mobile video surveillance..
Based on a passenger car trailer, the power supply and circuitry sit as usual in a durable steel casing, while the camera and sensor systems are located completely on the top of a telescopic pole at a height of 5 to 9 metres: this ensures a perfect perspective. Setting up and implementing the pre-configured WellnerBOX “mobile” takes only a few minutes and can also be carried out by trained security personnel. 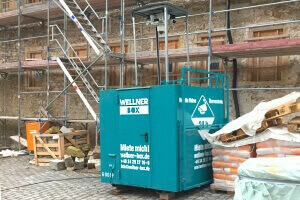 Thanks to its compact design and lightweight trailer, the WellnerBOX can be repositioned / moved “by hand” to be flexible, even during ongoing events. We have successfully supported the Biathlon World Cup in Oberhof, the Cottbus Carnival Parade, the Erfurter Car Show, the Löbauer Saxon Day and many more. The positive feedback from the security service providers, organisers and police involved speaks volumes and supports our conceptual approach. “The use of the mobile box has generated a great deal of positive feedback and ‘excitement’. The police and LKA colleagues involved, as well as the organisers’ representatives, have praised the quality of the images and the technical possibilities”. “The installation and the entire logistical work involved in setting up the box was very straightforward and minimal. The image transmission to the laptop operated smoothly and there were no further disturbances or even failures during the entire operation (approx. 8 hours)”. Would you like to experience our technology for yourself? Contact us.